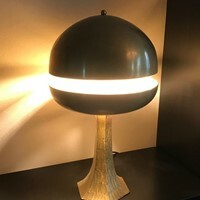 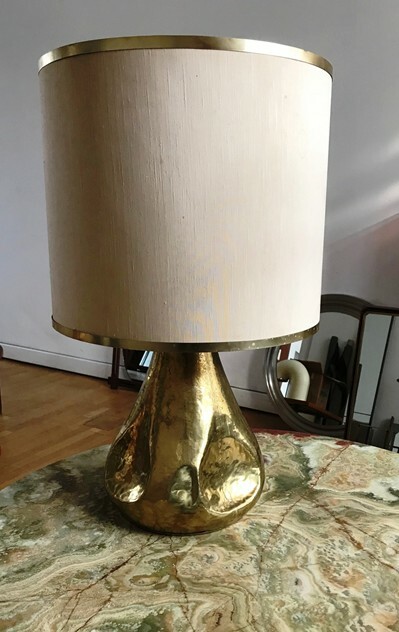 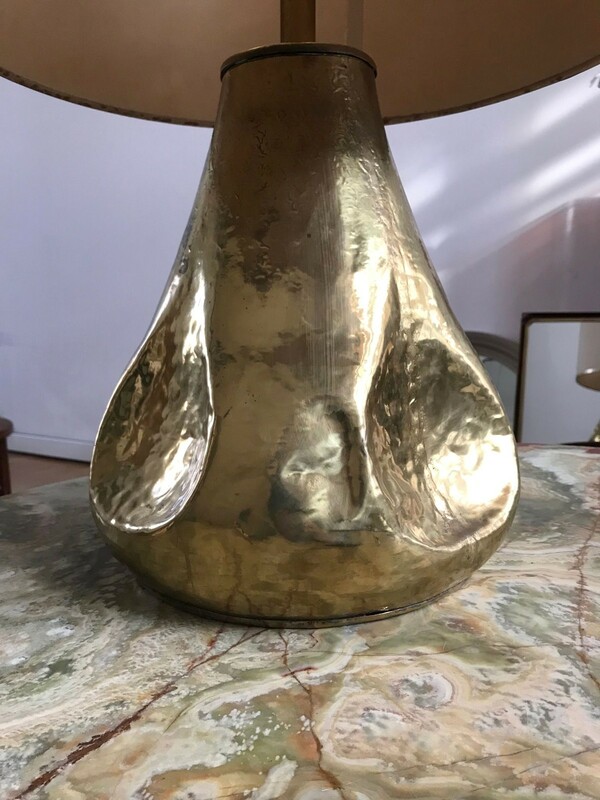 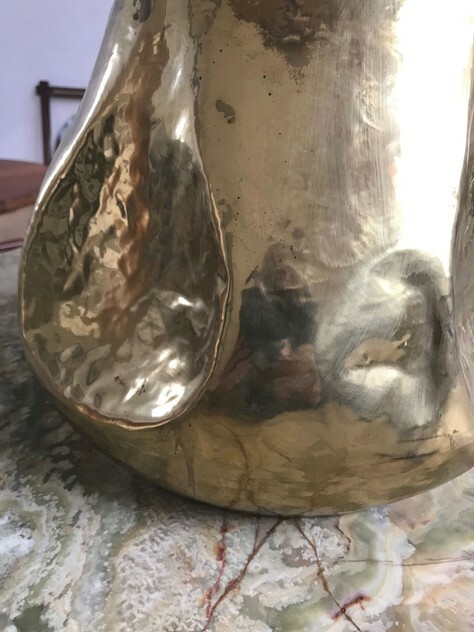 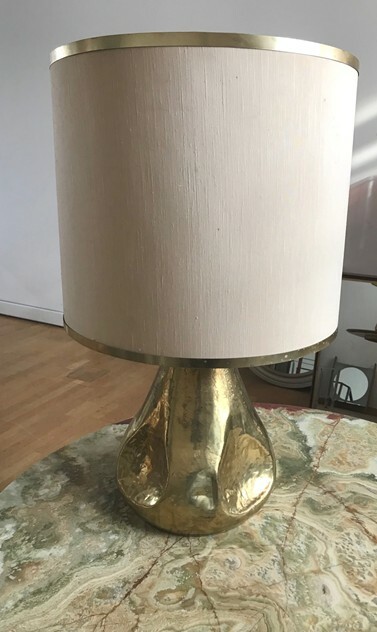 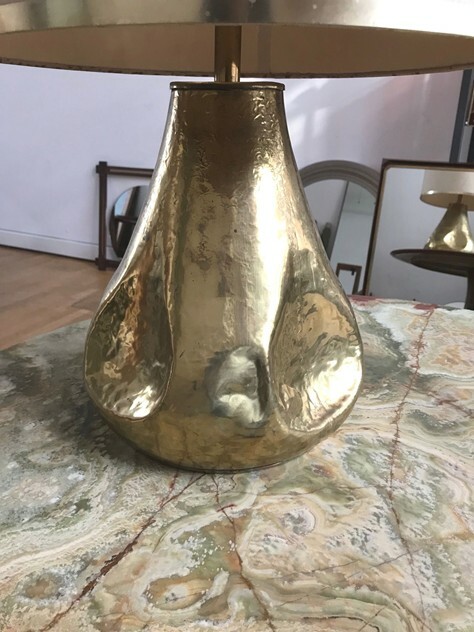 Large and rare sculptural Italian table lamp in brass - original shade . 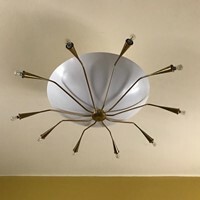 Dimensions are :cm 78 H. by cm 48 Diam. only base cm 40 H. by cm 30 Diam.